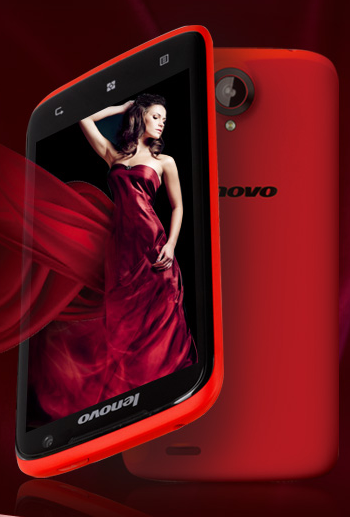 Lenovo has done something out of the box with their new smartphone named S820. Don’t worry I have not used this ‘out of the box’ term for performance or design rather they have released a phone especially for the lady users. This phone will be coming with a free microSD card of 8GB and a Bluetooth headset but I suspect that once this product gets inside India this offer will not eligible instead they will lower the price of the same phone and then release in the Indian Market. As of now while pre-ordering this device in China you will get this product at the price of 326USD. The Display size of the phone is 4.7-inch which is again closer to the traditional size of 5 Inches available in almost on all the phones these days. The processor used on this phone is of Mediatek which is their most commonly used Quad Core processor and clocked at the frequency of 1.2 GHz. This power of the processor is supported by 1GB RAM which assures a decent performance on your phone even with few games. Now camera has to be an important aspect when talking about the phones for ladies and so we have 13MP camera at the back panel and a 2MP camera on the front panel (they could have chosen a better camera in the front, mainly to use the phone as mirror). The Operating system on this which this phone operated is also Jellybean which is latest and then the battery strength is also decent with 2000 mAh, though I believe ladies will not use this much for gaming, so I think the performance of this phone will be adequate for its targeted audience. The internal storage capacity of this phone is 4GB and nothing has been mentioned on the external storage of the device. Again the color is not usually Black or White or silvery but you will have Flamingo Red which will take majority of the back cover. It seems that it will come to India after it is launched in China and there the delivery of the products will start from 2nd June onwards. Stay Tuned to know its availability in India.